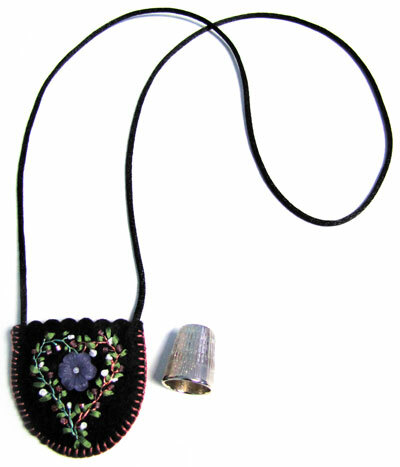 This handmade thimble pouch necklace is made of felt and rattail cord. The pouch is embroidered and embellished with silk ribbon, thread and beads. The measurements of the pouch are approximately 1.875"(L) x 1.875"(W). The rattail cord measures approximately 25". *Thimble not included.